Greetings from a busy diving school – as soon as the new year kicked in, the diving and snorkelling conditions turned lovely – along with the weather! So nice that we were able to visit one of our favourite dive sites – Anthong Marine Park – much sooner than normal for a fine day out. Our dive boat is at Sail Rock today and has already reported excellent visibility, monster schools of barracuda, calm seas and just a little current on the 2nd dive. The team are busy diving of course, and beyond the usual Discover Scuba Diving and Open Water Diver training we have a Rescue Diver course and a French Divemaster programme starting soon. Over in Europe one man is even more busy than the management team in the dive centre! – Monsieur Fred is pulling it all together for our forthcoming appearance at the “Boot” Show in Dusseldorf – latest news is that Chaloklum Diving’s Angie will be making a guest appearance – how can you miss it? And the 20th anniversary changes are on their way – the new PADI Open Water Diver course starts in a few weeks – and what do you think of CMAS diving courses?? 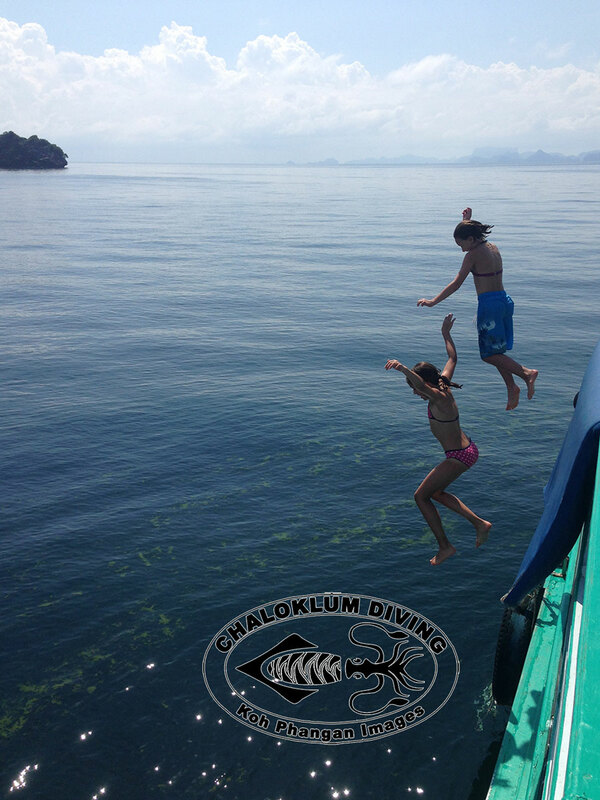 It’s summer holiday time on Koh Phangan!